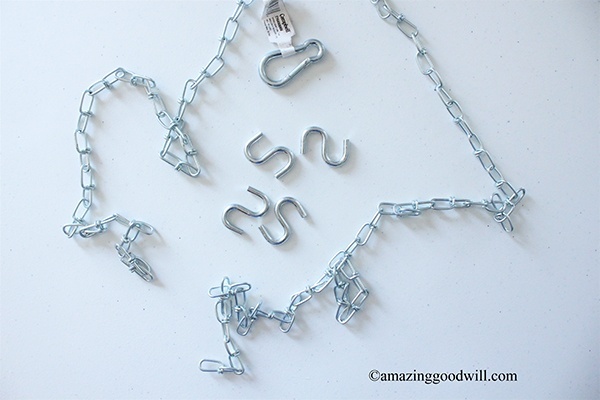 S-hooks that will fit the links. Mine are 1-½ inch. 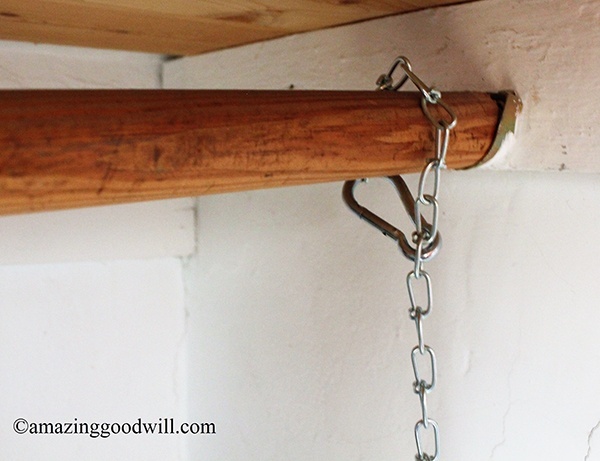 Spring snap link (that will also fit the chain link). I used a 2-inch one. 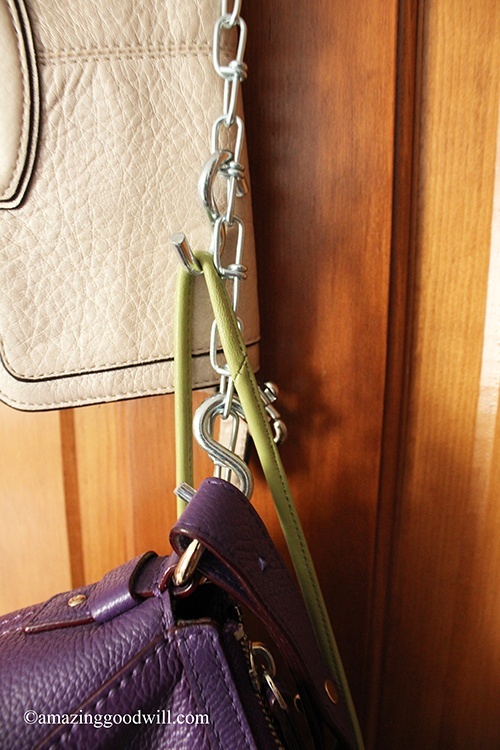 If you plan to hang your handbags on a closet pole, use the snap link to circle the chain around the pole. 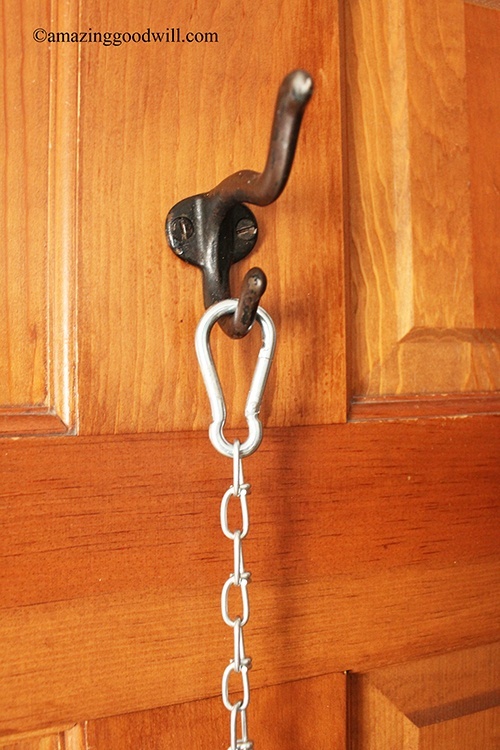 Otherwise attach it to the end of the chain and hang from any hook. No power tools required—not even a hammer and nail. 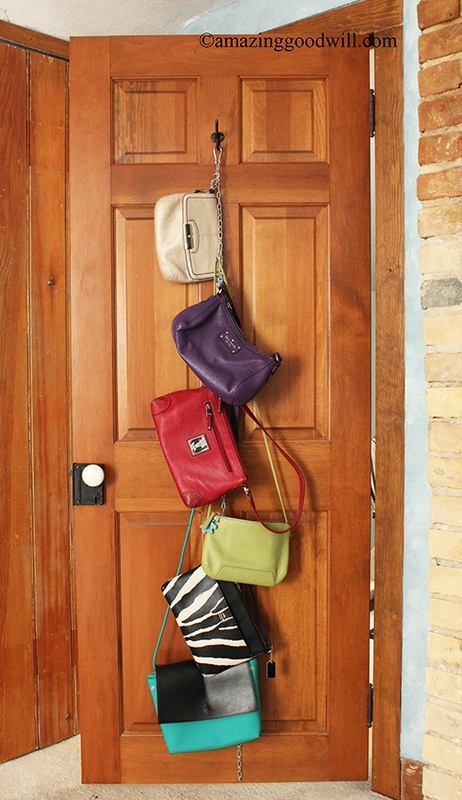 Loop the S-Hooks on the links at whatever interval makes sense for the style and size of your purses. I like to tuck the straps inside the bag if possible and hang from the O-rings that attach the strap to the bag. Depending on how many handbags you own, double-up or overlap the bags. 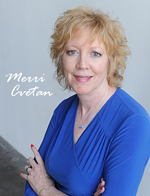 I like the fact that they’re all in one place to make changing them every day a breeze! Forget the closet, this is pretty and colorful enough to display like artwork!